In addition to the Wood Stork Course, Willard Byrd also created the Hummingbird course. 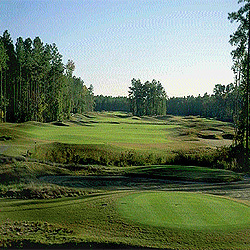 Hummingbird integrates the area's natural beauty with interesting and challenging golf. The course has classic "links style," wetlands combined with stands of love grass and other native grasses to form the course's perimeter, complementing lush green fairways. Strategically placed lakes, open fairways and four set of tees, as well as an array of waste bunkers, add to the challenge and intrigue of this course. The Golf Digest "Places to Play, 1994-95" Supplement gave the Hummingbird a 4-star rating and recognized it as "One of the 100 Great Value Courses" in the nation.